Crescent Moon’s Subasio with his virtually spotless blanket arrived on March 28, 2016 with much excitement. As he has aged, the enthusiasm continues. Subasio is extremely well conformed with blanketing coverage, a lovely head type and presence! 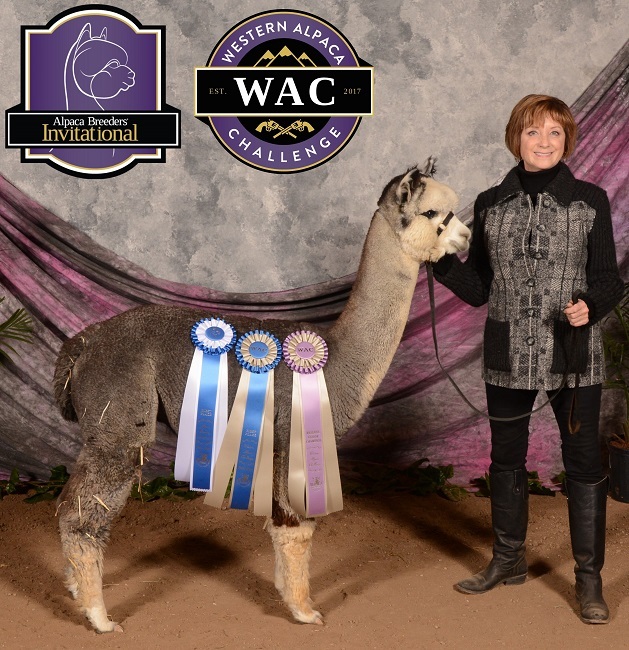 Oh, do we love presence in our alpacas! His fleece is thick and abundant and highly reflective with well formed staples, pleasing handle and excellent uniformity. He also hosts a world class pedigree with genetic contributions from three of the most influential breeding programs in the country over the last 20 years. 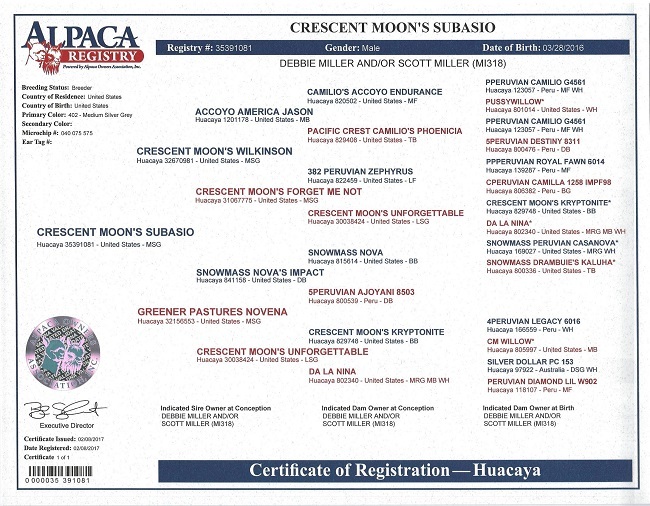 We invite you to take a look at Crescent Moon’s Subasio. He will make an excellent contribution to anyone’s herdsire line up!